The Star Wars hype isn’t over. (The Star Wars hype will never be over.) 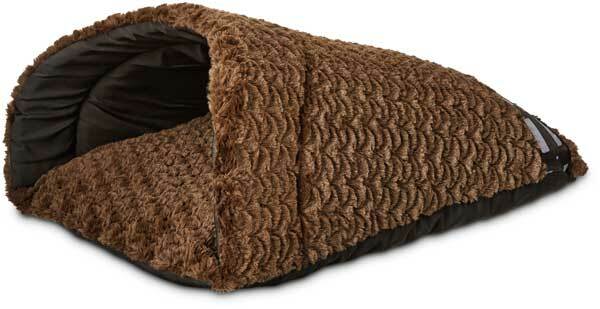 Petco’s Star Wars Pet Fans collection has many items for your cat to pounce on, including the Chewbacca Slipper Cat Bed and Darth Vader cardboard scratcher. 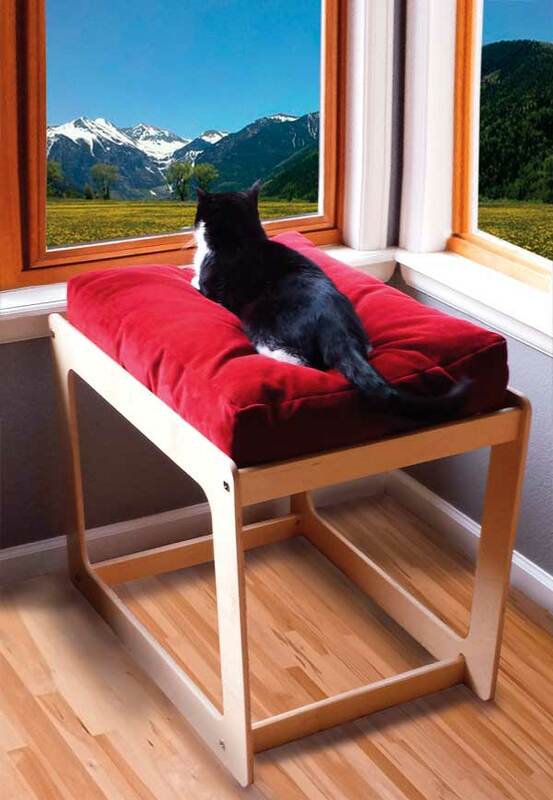 Lacey’s Lookout from the Savvy Pet gives your cat a good view of the outdoors. The first-ever window seat furniture for cats and dogs, the eco-friendly product comes with real wood furniture, a comfy bed, and a step (step not pictured). It comes in four colors: navy, berry, honey, and chocolate. Cats have sensitive whiskers, sometimes making it difficult for them to eat. That’s why Dr. Catsby developed a bowl to help prevent whisker fatigue. 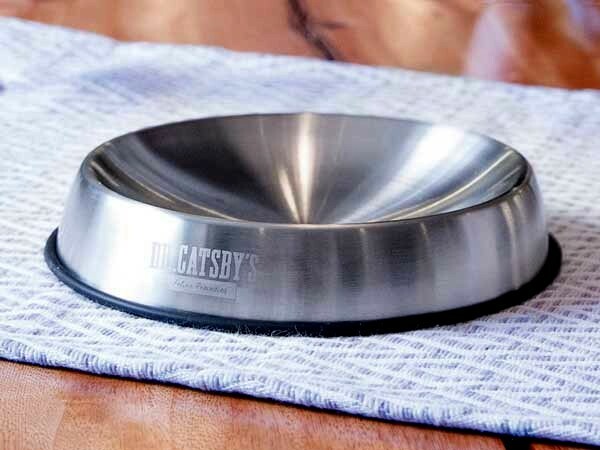 The shallow and low bowl makes it easier for cats to eat by giving them easy access to food and preventing them from pulling back their whiskers. 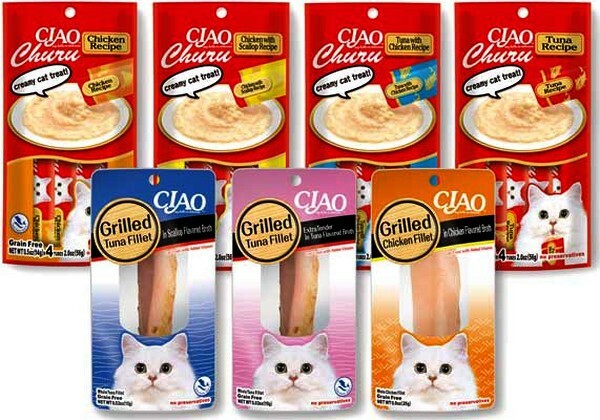 Inaba Foods has launched two new lines of natural cat treats in the u.s.: Ciao Churu Purées and Ciao Grilled Fillets. Made without preservatives, grains, or artificial colors, the moist treats contain responsibly harvested tuna and farm-raised chicken. According to the manufacturer, they are one of a kind. Have an anxious kitty? 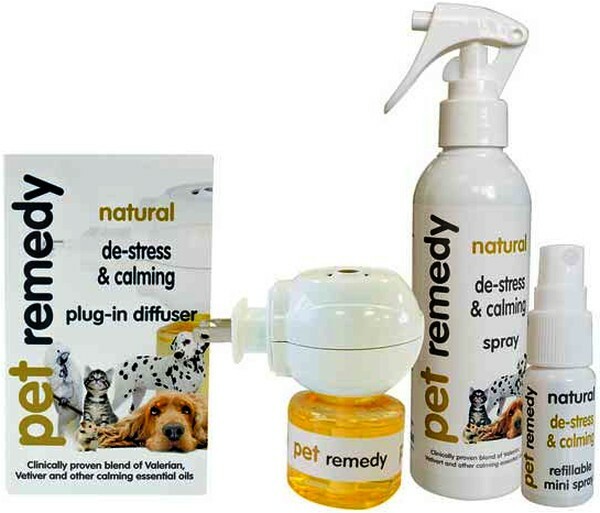 try Pet Remedy USA’s natural de-stress and calming spray. Its combination of herbal derivatives, Valerian, sage, and sweet basil can help calm your cat. You can spray it on yourself or your cat’s coat, bed, and clothing. A plug-in calming diffuser is also available and works instantly.